Imagine this: it’s just you and a long stretch of white sand, with clear, pristine, blue waters lapping at the shoreline. You may occasionally see locals or a few other people who dared visit the beach, much like you did. But mostly, a large stretch of the sand is all yours! Such quiet scenery often comes at a price, such as long hours of not-so-comfortable travel. However, if you’re up to the challenge, below are just some of the beautiful, remote, Philippine beach holidays with white beaches that are worth going to. Located north of the Philippines in the Babuyan Channel, Calayan Island is not exactly an easy-to-get-to beach holiday destination, especially as the seas can get rough. Sometimes, they can even turn a 5-hour trip into a 9-hour one. During the summer, waves can be the same size as a car, and that’s why boat schedules from mainland Cagayan are unpredictable. Once in Calayan, you’ll find breathtaking rugged cliffs pounded by the seas, and quiet coves amid the rough waters, including Cibang Cove, the most accessible one via a short trek. You can walk barefoot on its long stretch of pristine white sand hemmed in by rock formations draped with lush greenery, and take a dip in its clear, tranquil waters. 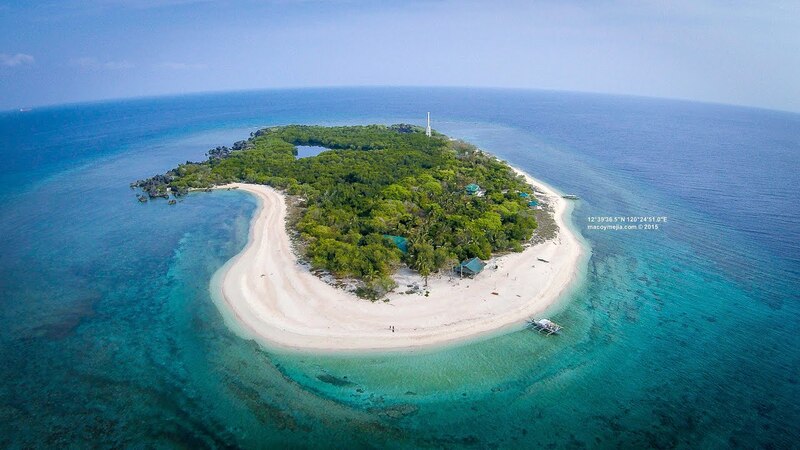 Often mistaken for an island with the same name in Negros Oriental, which is also a known diving spot, Apo Island sits on Apo Reef, known to be the world’s second largest contiguous coral reef system. With the clear blue waters that perfectly reflect the sky and the creamy pinkish white sand on an island small enough for you to see both dusk and dawn, Apo Island is a beach bum’s dream destination! Snorkel or dive into the waters to see the colorful corals, fish, pawikan, and sometimes, the dolphins, sharks, and manta rays. An understated province sometimes mistaken to be a part of Leyte, Biliran is home to enchanting waterfalls, mountains and to, without a doubt, one of the best islands in the Philippines — Sambawan Island. On one side, Sambawan has grassy hills which turn green or brown depending on the time of year, and on the other side is a long stretch of white sand. Take the time to trek up the hill to catch a glimpse of the entire stretch of the island surrounded by bright blue waters. Take a dip in the quiet seas, or else go on a diving adventure to see the colorful marine life, as Sambawan is also a known diving destination. It’s all up to you on your beach getaway. There you have it. These are just some of the hard to reach beach destinations in the Philippines. Though the road to these places are rough and challenging, getting past them will surely reward you in the end. You’ll indeed experience the best beach holiday Philippines once you overcome the obstacles that block you along the way.